The World of Warcraft "Faction Change Service" is now live, letting players switch their characters from Horde to Alliance and back - for a fee. 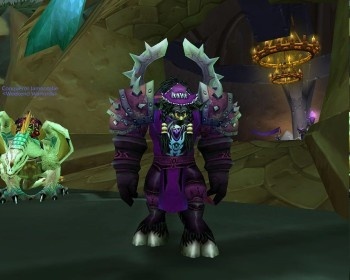 World of Warcraft players looking for a change of scenery will now be able to hop the fence and see what's happening on the other side, although certain restrictions will apply. Characters must be at least level ten to be eligible to change factions and while players can choose the race of their newly-factioned character, they can only choose from races that are normally available for their character class. Players who switch teams will be able to customize and rename their characters; faction-specific equipment and mounts will be automatically exchanged for a "cross-faction equivalent," while non-faction-specific materials will be left unchanged. But all this comes with a price tag, and it ain't cheap: The process will cost $30, plus any applicable taxes, for a single faction change for a single character and it cannot be reversed unless you purchase a second Faction Change. In other words, this probably isn't something you're going to want to be doing on a weekly basis. But if you do have an itch to see how the other side lives, the "Faction Change Service" is now available through the World of Warcraft Account Management page. More information about using the service, including restrictions and lists of faction-specific equivalents, can be found at the official World of Warcraft Faction Change FAQ. UPDATE: The changes are live in North America but apparently will be delayed at least a week in Europe. In a post on the World of Warcraft European forums, Blizzard poster Wryxian wrote, "It is not coming today, tomorrow or this week, or probably next. However, plans can change though, but this reply should give you a much better idea of when it is probably coming and should help you to better plan in advance, should you wish to do so."